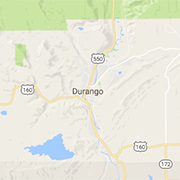 Looking for Durango airlines, charter flights, flight schools or aircraft services? Check out these members of the Durango aircraft industry. DRO is the primary regional airport for SW Colorado and NW New Mexico, featuring multiple nonstop destinations, major airlines, rental car agencies, restaurants, and more. Flying the Rockies out of Pagosa Springs since 1986, we accomodate groups of up to 10 and private rides too!